The most daring and devastating heist in literary history targets a high security vault located deep beneath Princeton University.Valued at $25 million (though some would say priceless) the five manuscripts of F Scott Fitzgerald’s only novels are amongst the most valuable in the world. 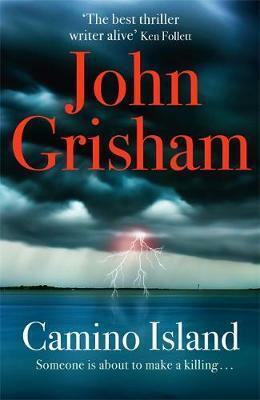 After an initial flurry of arrests, both they and the ruthless gang of thieves who took them have vanished without trace.Dealing in stolen books is a dark business, and few are initiated to its arts – which puts Bruce Kable right on the FBI’s Rare Asset Recovery Unit’s watch list.A struggling writer burdened by debts, Mercer Mann spent summers on Florida’s idyllic Camino Island as a kid, in her grandmother’s beach cottage. Now she is being made an offer she can’t refuse: to return to the peace of the island, to write her novel – and get close to a certain infamous bookseller, and his interesting collection of manuscripts . . .